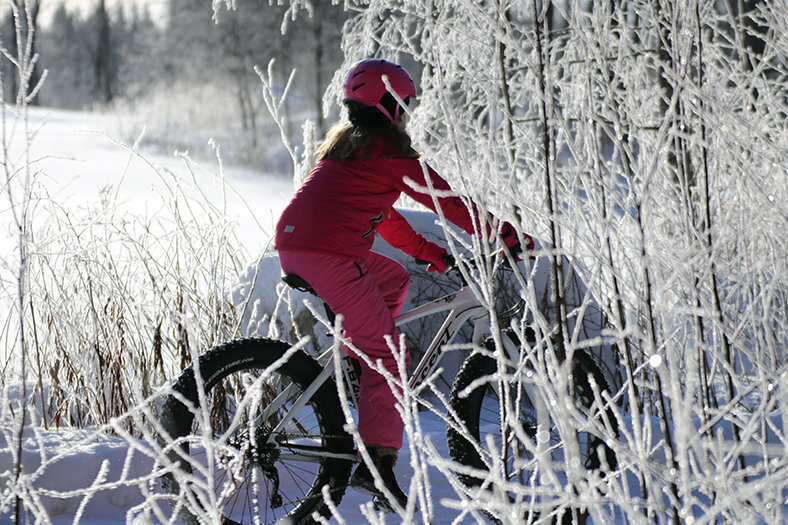 For winter biking fat bike gives you a totally different experience of biking. Try biking in the snow in forest, it´s nice and easy even at the first time. It is entirely new way of biking! Fat biking you can also do beside the ice-skating trail and cottage paths. Even parts of cross-country skiing trails are also suitable. Fat biking is suitable for adults and juniors. Because of the size of the bikes it´s not something what small kids can do. 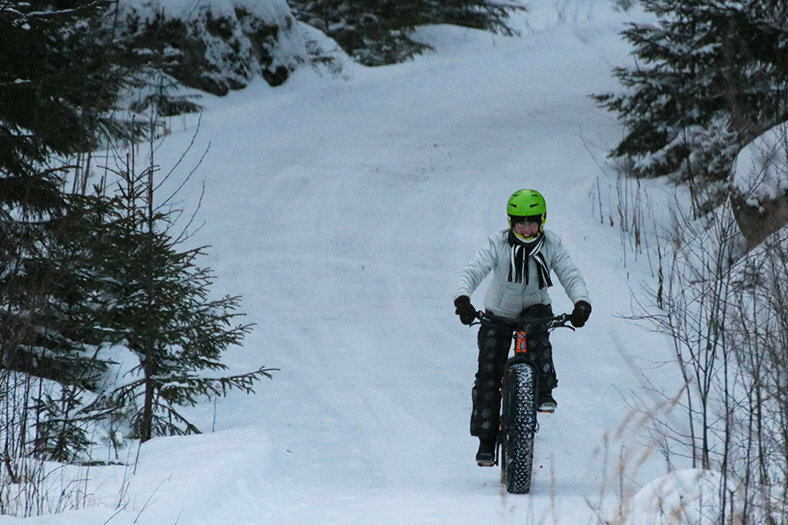 Did you know that fat biking is also very effective way of exercise? You can choose the resistance with gears and have an easy biking or effective workout session. Need for speed? Try dog sledding which is unforgettable experience and suitable for kids, too.